This article explores the influence of local concepts of matrilineal kinship and descent through women in the construction of a modern Sufi silsila (an authorized ‘chain’ of spiritual and genealogical ancestry) in Sri Lanka. 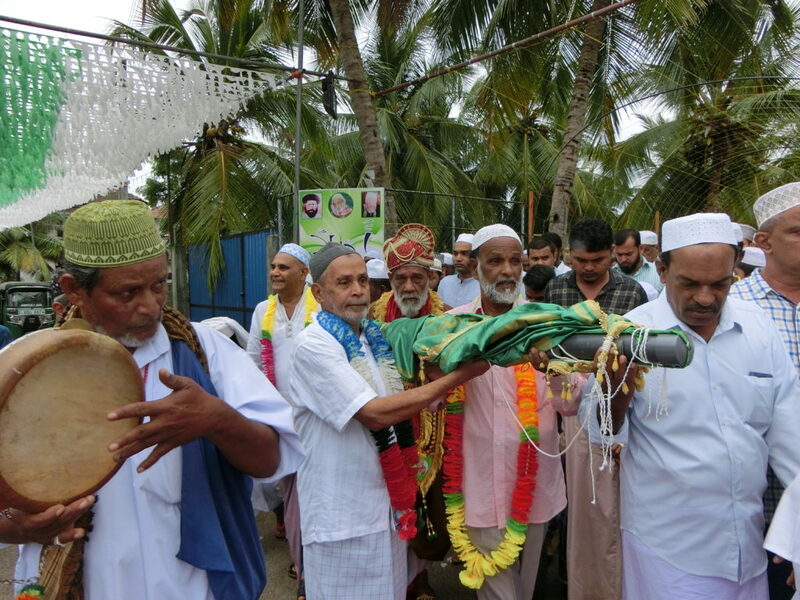 Makkattar Vappa, a popular Sufi shaykh in the Tamil-speaking eastern region of the island, asserts hereditary maulana (sayyid) status as a member of the Prophet’s household descent group (ahlul bayt) by means of close genealogical linkages to a locally enshrined saint of Yemeni family ancestry traced through several women, including his mother, his father’s mother, and his wife. The kinship system here is Dravidian in structure, but with a matrilineal emphasis that is seen today in the administration of Hindu temples and Muslim mosques by matrilineal clan elders, and in the negotiation of matrilocal marriages based upon women’s pre-mortem acquisition of dowry property in the form of houses and paddy lands. The shaykh in question is himself the successor Kālifā of a Sufi order (tāriqā) based in Androth Island, Lakshadweep, a similarly matrilineal society located off the west coast of India. In his prior career, he was an art and drama teacher in a local government school, and his style of Sufi leadership continues to be pastoral and pedagogical in tone. This, together with a strong base of support from former students, has enabled him to escape the sort of stridently anti-Sufi violence that has erupted in Muslim communities elsewhere in the region. His awareness of anthropological research on matrilineal kinship and marriage patterns in this part of the island may have encouraged him to trace his sayyid silsila through both male and female genea-logical connections. 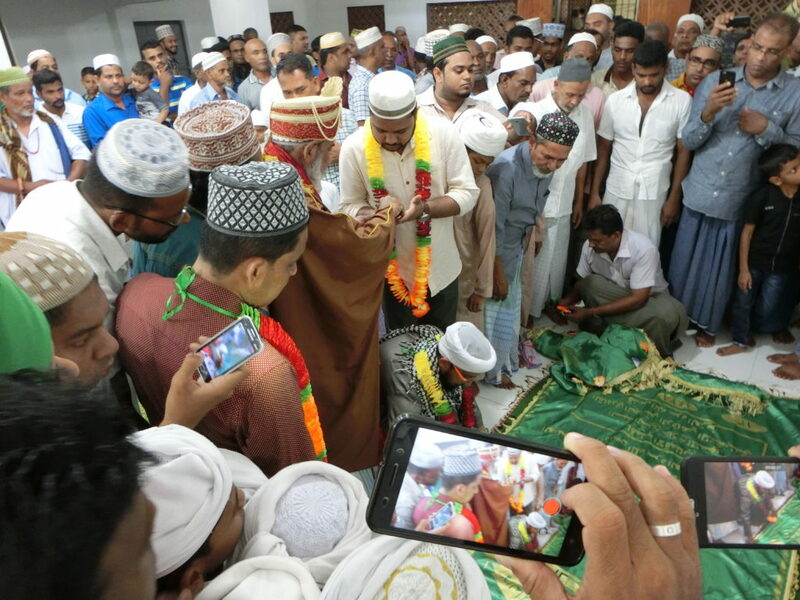 Sri Lanka’s Muslims or ‘Moors’, 9% of the total population and overwhelmingly Sunni and Shafi’i in Islamic heritage, make up roughly 50% of the Tamil-speaking population in the Eastern Province of the island, a region comprising three coastal districts: Trincomalee, Batticaloa, and Amparai. In the latter district, where sea fishing and paddy farming are the foundations of the local economy, they outnumber the Tamil Hindus and Christians as well as the Sinhalese Buddhists. Throughout the island, the Sri Lankan Muslims or Moors have been historically and culturally linked with the coastal Marakkāyar Muslims of Tamil Nadu and the Māppiḷa Muslims of northern Kerala, a shared heritage from centuries of maritime trade between the Middle East and South Asia. 1 The term ‘Moor’ is an anglicized colonial usage derived from the Portuguese mouro (people of Morocco or the Mahgreb), the label applied to all Muslims in the Portuguese colonial lexicon. 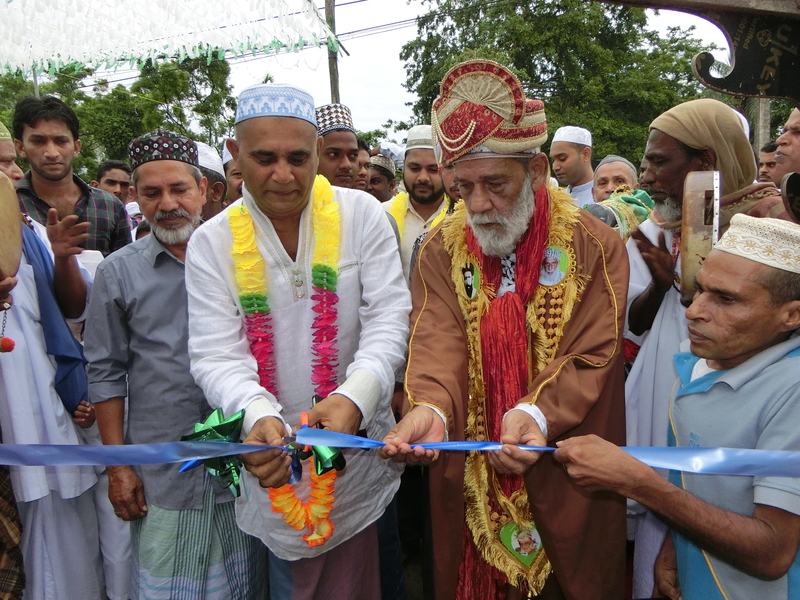 Today the more common term is simply ‘Muslim’, but the older term Moor, and its Tamil equivalent (cōṉakar), more accurately distinguishes the ethnicity of the community as Tamil-speaking Sri Lankan Sunni Muslims who follow the Shafi’i school of Islamic law. In the latter respect, they share their south Arabian Shafi’i legal heritage with coastal Muslim communities throughout southern India and Southeast Asia. 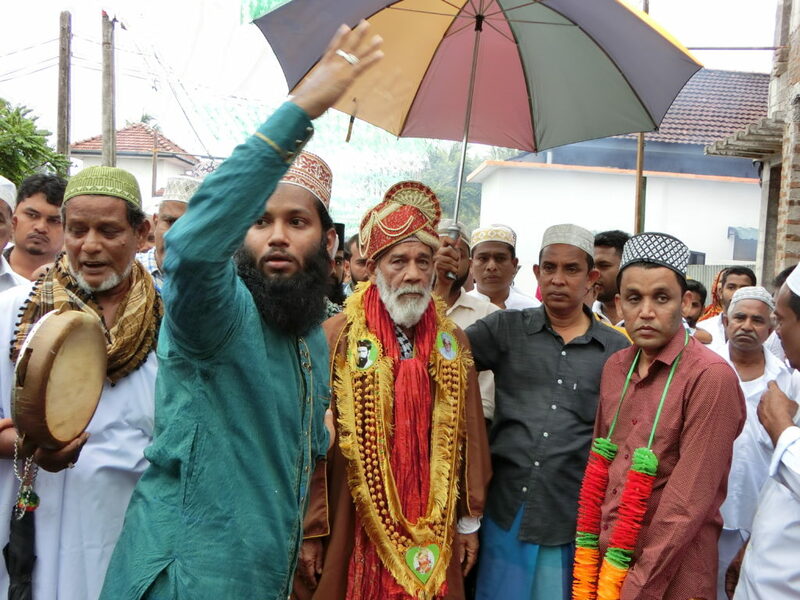 (2)The ethnic designation of Moor or cōṉakar also serves to distinguish them from other, much smaller Sri Lankan communities that profess Islam: Malays, Bohras, Khojas, and Memons. 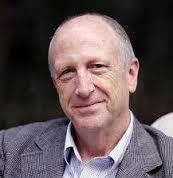 This entry was posted on April 17, 2017, in Akkaraippattu, Kuthubuna Makkathar Raliyallahu Anhu, Professor Dennis B MC Gilvray.